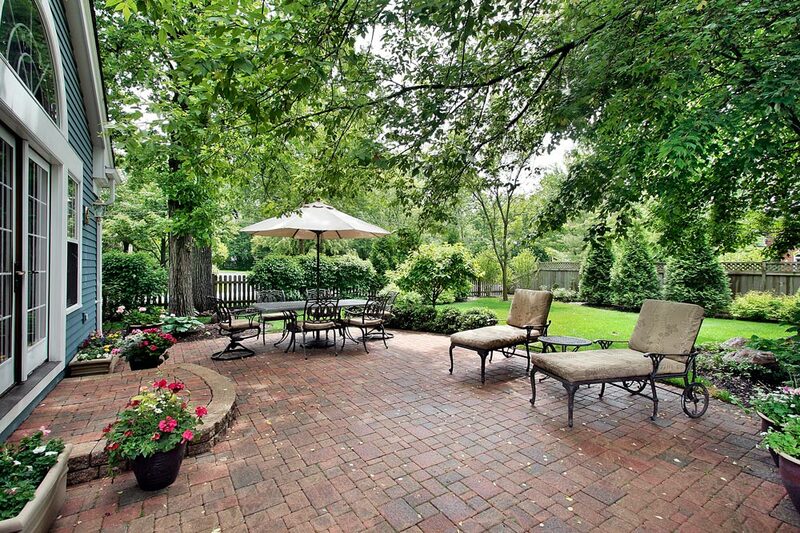 Landscaping Contractors for Patios | Danbury CT | Grass Roots Inc.
You would like to make your patio entertainment area more attractive and begin searching for landscaping contractors near Danbury. You are in luck! Meet Grass Roots Inc., Fairfield County's best landscaping, hardscaping and grounds maintenance company. From entertaining and barbecues to pool parties or just relaxing in a chair reading a book, outdoor living spaces are a beautiful way to enjoy your yard. By adding a patio, or customizing the patio you have now, you greatly increase your usable living space. In essence, you are adding on an additional room to your home. Through the years, fantastic new ideas have been introduced to the patio/walkway industry. No longer are you stuck with only a few designs or color choices to choose from, as there are endless possibilities from pavers to flagstones. The pros from Grass Roots can work with the natural contours and features of your yard, dress up the area surrounding your tree trunks, introduce specimen or fruit trees, fieldstone walls and borders, and suggest how to incorporate seasonal color to promote tranquility. Landscaping truly transforms your property, bringing the personality of the occupants outdoors, truly making your house "your home". Good landscape design always accentuates the positive points and improves the problem spots in your yard. Using natural features, hardscaping, flowers, shrubs, trees, and good design, your landscaping contractor will transform and beautify your property. Grass Roots Inc. can bring beauty to your property and we will maintain the work long-term. Give us a call today.